From left to right: U.S. Vice Presidential Candidate, Tim Kaine, U.S. Senator, Dianne Feinstein (CA), State Representative, Ed Gainey (PA), City Council Member, Carlos Menchaca (NY), State Senator, Holly Mitchell (CA), and State Treasurer, Michael Frerichs (IL). We proudly highlight distinguished Coro alumni who have bravely stepped forward to run on the November ballot at the local, regional, state, and national levels, as well as those alumni who currently serve in elected office. 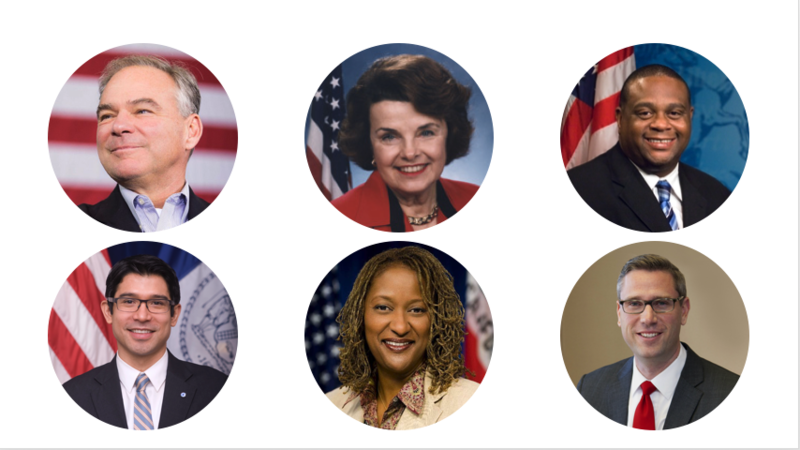 From Vice-Presidential candidate Tim Kaine, to local representation in cities and counties across the country, dozens of Coro alumni from all centers, programs, and political parties continue to heed the call to public service. In Coro’s non-partisan tradition, we honor their contribution of time and talent to our democracy.